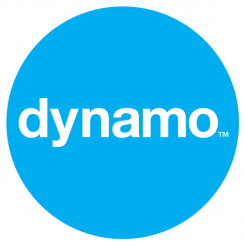 Dynamo were tasked by SwiftKey to build on its loyal blogger and mobile media following, to make the intelligent keyboard for Android devices relevant and appealing for a more mainstream audience. Using the timely (but hotly contested) news hook of The Queen’s Jubilee, Dynamo worked with SwiftKey to develop a campaign whereby people could speak and text more like the Queen. The story was targeted at tabloid newspapers and consumer titles, as well as national technology and royal correspondents. Using the core technology that powers its app, SwiftKey looked at the last 60 years of the Queen’s speeches to predict the word her Majesty would most likely say in any given scenario. Dynamo used this story to educate a new demographic of SwiftKey’s core functionality in an accessible and interesting way. The inclusion of top tips for people to make their texts, emails and tweets more regal made the story more inclusive beyond Android users and relevant for media at a time when the Royal family where top of the news agenda. After four days of releasing the story, the news had been covered in over 160 articles worldwide from the US and UK, to India and Hong Kong. Mainstream coverage appeared on tier one publications such as BBC News Online, The Daily Mail, Reuters and Yahoo News, resulting in measurable and significant increases in downloads as well as a spike in traffic visiting the main SwiftKey website.